It’s hard for me to express in words how much I appreciate you electing me as your Alderman. Thank you so very much. 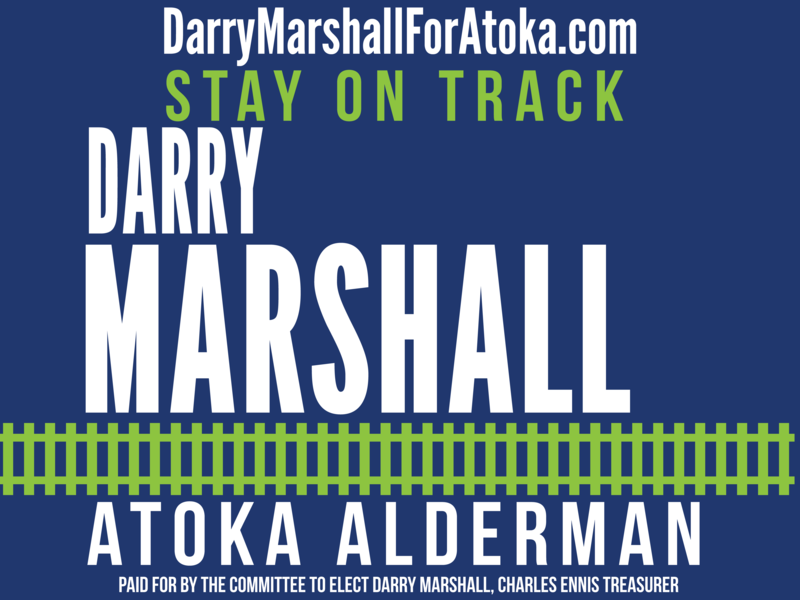 Now the real work begins and I’m committed to work very hard to represent you as the board continues to do its part making Atoka a wonderful place to live. I promise to listen to you because I now work for you. Special thanks to all my close friends who encouraged me to run and supported my campaign. Please pray for me as I begin this awesome responsibility.